(Just) Popped in My Head: Summer Breaks: a novel IS PUBLISHED! Summer vacation brings the promise of ice cream, backyard games and adventure for ten year-old Corey Decker and his friends. As summer breaks, the band of seven friends watch in horror as a tragic car crash plays out right in front of them. From there, the next weeks are spent laughing, playing, fighting and making up again. When the gang learns of a "mad man" rumored to live in the nearby woods, they set out exploring parts of their Western Pennsylvanian suburban neighborhood they never knew existed. 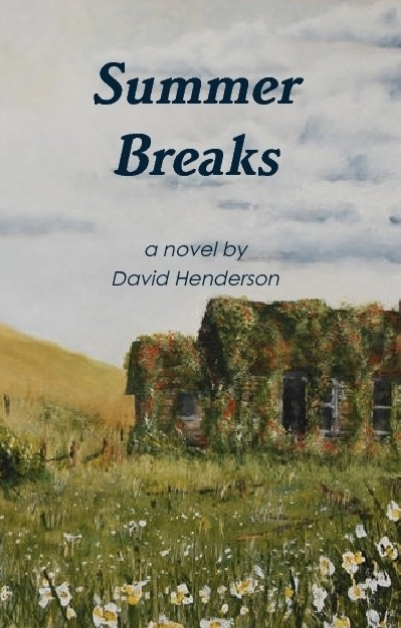 Set in an unspecified timeless past, follow Decker and his friends over a creek and through the woods, into an old quarry and through a corn field as they seek out on an adventure to find the "Mad Man of Appleton." What they find along the way will amuse, thrill, disgust and surprise readers who enjoy a little summertime escapade. 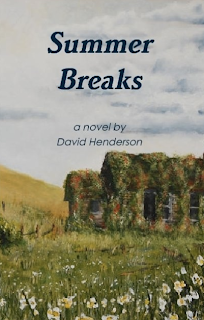 I am thrilled to announce that my debut novel, Summer Breaks, has been published! Originally, I had called it "Summer of Seven" and it was just the first chapter. That was in 1998 or so. I had written it as part of my undergraduate project in the hopes it would one day become more than a single chapter. Though it had been revised for inclusion in my Master's Thesis Project, it still remained one chapter. In fact, I had to change the ending of that piece because it made no sense outside of a larger body of work. Then, I read about NaNoWriMo.org in a magazine and decided to take "Summer of Seven" out of the dusty digital archives and see where things went as a challenge to reach 50,000 words. What ensued was a flurry of writing almost every single night for the month of November. I was so spent after that, I set the book aside and let it marinate. When I started reading it, editing it, shaping it, I saw the story unfold in front of my own eyes. I grew to like certain characters and not like others. I had no real plan when I started "Chapter Two" other than to tag along as Decker and his friends started out their summer vacation from school. With the help of Shan, my mom, and Oretha Ferguson (a colleague I met through the Technology Infused Education program and fellow Plurk user), my novel was honed and fine-tuned. And then, as mentioned in a previous post, Mr. Adrian Cain was incredibly generous enough to grant me permission to use his artwork for my cover! I don't know how other people feel when they publish their first novel, but I am excited, nervous, relieved, and thankful. I am especially thankful for all the folks that have supported and encouraged me to put myself out there. Author contact info for interviews, book reviews, etc: David Henderson, davidinark@yahoo.com. David and his family reside in Prescott, Arkansas. The book is available for purchase in paperback: http://stores.lulu.com/davidinark for the debut price for $9.99. Readers can also download an electronic version from that same site. A Kindle version is currently "under review" and I will let everyone know when that is ready. Other ePub formats can be obtained from Smashwords.com. There will be an iBooks-friendly version available (hopefully) soon as well. I love you baby...and I am very proud of you.